Sometimes, after a long work day, you just feel the necessity to sit down and enjoy a drink.Yesterday was one of those days. My parents came across this martini a few years ago while dining out and it has been a favorite in the Engstrom household ever since. Coffee + alcohol = one delicious combination. Throughout the course of the past few years, we have tried a number of variations on this drink - some too sweet, some too strong, some completely clear in color (this is rather unsettling when espresso is obviously not clear). Time and time again, we come back to this recipe. It's the best we've come across. Have you tried any variations of the espresso martini? What's your favorite? Tomorrow we round out our final coffee post of the week with an inside look at a local coffee roaster - Hansa Coffee Roasters. Measure ingredients and add to shaker. 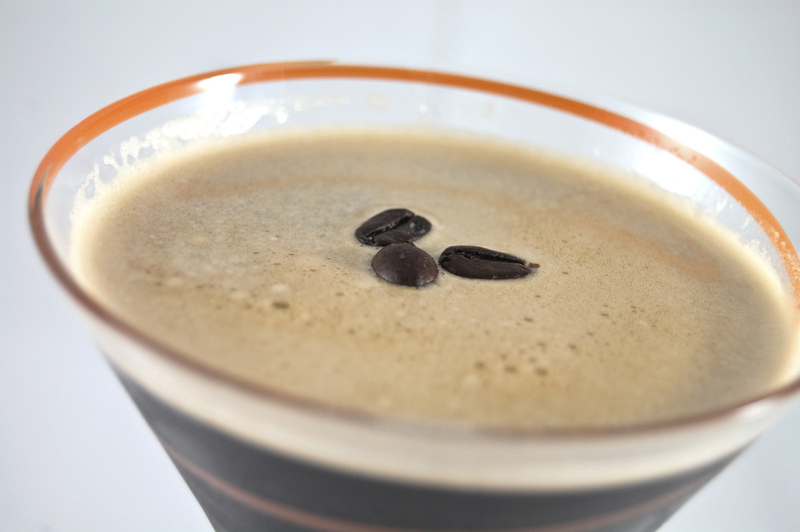 Strain into a martini glass, garnish with espresso beans and enjoy.